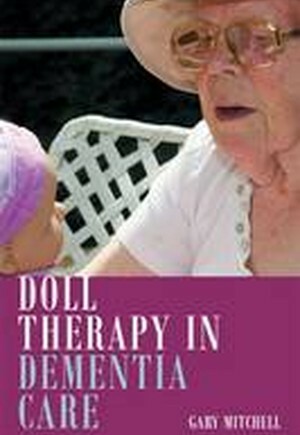 Advocating doll therapy as an intervention for people with dementia, this book combines theory and evidence to show its many benefits and present guidelines for best-practice.Despite being widely and internationally used, doll therapy is a controversial and often misunderstood intervention. This book debunks the myths surrounding doll therapy, highlighting its proven positive impact on the well-being of people with dementia. The book gives care professionals an indispensable overview of doll therapy within the context of current advocated best practices, using original research and evidence to present the rationale of its use. The book also engages with ethical issues, ensuring that professionals are aware of the aspects of doll-therapy that may be counter-productive to person-centred care. Providing clear guidelines on how best to utilise doll therapy, this comprehensive book is an important resource for any professional looking to implement this intervention. Acknowledgements. Introduction. Gary Mitchell. 1. Dementia and Society. Gary Mitchell. 2. A Review of the Empirical Evidence. Gary Mitchell, Brendan McCormack and Tanya McCance. 3. Doll Therapy and Dementia Care: Through Kitwood's Ideas. Gary Mitchell and Jan Dewing. 4. The Ethics of Doll Therapy. Gary Mitchell and Michelle Templeton. 5. Palliative Care, Dementia and Doll Therapy. Gary Mitchell and Helen Kerr. 6. Newcastle Doll Therapy Programme: Practice Development by Clinicians for Clinicians. Ruth Lee and Ian Andrew James. 7. A Family Experience of Doll Therapy. Jessie McGreevy. 8. Tales from Care. Marsha Tuffin. 9. Experiences of Doll Therapy. Caroline Baker. 10. Best Practice Guidelines. Gary Mitchell. References. Index.